Obama's relationship with Abner Mikva is long and deep, but has been subject to little scrutiny. After all Abner Mikva is no radical, he is a highly respected "liberal" and Chicago elder statesman. Abner Mikva, a revered figure in Illinois politics, was an early Barack Obama booster and mentor. Mikva's backing--he is the gold standard for integrity in Illinois politics--was important in Obama establishing his credentials in the early days of his political career and in his U.S. Senate run. Abner Mikva, was one of Obama's early admirers, beginning in 1990 when he tried to hire the first black president of the Harvard Law Review for a coveted clerkship. (Obama turned him down, saying he was going to move to Chicago and run for public office). "I thought that showed a lot of chutzpah on his part," says Mikva. When the Obamas settled in Hyde Park and Obama became a lecturer at the University of Chicago Law School. Mikva, "whom Obama already knew from Washington", also taught there, and the two renewed their acquaintance and became close. "We would have lunch and breakfast together and talk about a lot of things, different issues,"
How the pair knew each other "from Washington", where Obama never lived or worked, or studied, is an interesting question. Really what we’ll get out of this is, it will make clear once and for all Chicago is not just full of pork-barrel, sleazy politicians who know only Machine politics… We also will have a very special president. 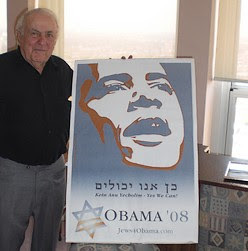 Obama repaid those kind words by appointing Mikva's daughter Laurie Mikva, to the board of the Legal Services Corporation in June 2009. But who is Abner Mikva really? This is a man who mentored the President of the United States and employed a possible Supreme Court Justice. Is there anything in Abner Mikva's background that should concern us? After service in WW2, Abner Mikva studied law at the University of Chicago. In 1949 communist led students went on strike at the City College of New York. Twenty University of Chicago campus leaders met in April that year, to show support for their New York counterparts, Abner Mikva among them. Several of the 20 had communist connections including Elias Snitzer and Sid Socolar, both of whom later took the 5th Amendment during government security hearingswhen questioned over alleged Communist Party membership . 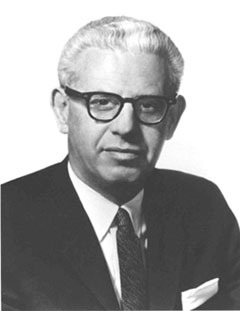 In 1947 leftist lawyer Arthur Golberg became senior partner with Abner Mikva in the Chicago law firm of Goldberg, Devoe, Shadur, & Mikva. Arthur Goldberg sponsored several local Communist Party fronts, including the Chicago Conference on Race Relations, the Conference on Constitutional Liberties in America and the National Emergency Conference. He was also president of the Chicago chapter of the National Lawyers Guild, accurately described in government hearings a "the foremost legal bulwark of the Communist Party". Surprisingly these affiliations did not stop Goldberg later becoming a Supreme Court Justice and US Ambassador to the United Nations under Lyndon Johnson. In the early 1950's George Anastaplo a classmate of Mikva's at the University of Chicago Law School sparked controversy, when he refused to deny Communist Party membership to a Character and Fitness Committee of the Illinois Bar. The Committee investigated and because he had not answered its questions, he was told he could not become a lawyer. Mikva was one of the first to come to Anastaplo's aid. In 1954 ''amicus curiae'' briefs were filed on Anastplo's behalf by two radical dominated organizations, the ACLU and the National Lawyers Guild. The ACLU brief, filed in the Supreme Court of Illinois was signed by Mikva and Leon Despres (a friend of Saul Alinsky, an associate of Leon Trotsky and later a mentor to Barack Obama). The NLG brief filed was signed by Pearl Hart, a veteran of several communist fronts, including the Chicago Committee to Defend the Bill of Rights. 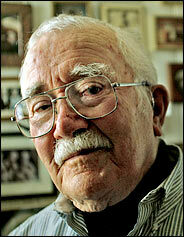 Mikva too, would work with Alinsky, the legendary father of "community organizing". In the 1966 Democratic primary election, Abner Mikva, then an Illinois State legislator, challenged the Daley machine-backed incumbent Barrett O'Hara for the 2nd Congressional District. Abner Mikva was supported by "liberal, independent forces and The Woodlawn Organization". To avoid jeopardizing the organization's nonpartisan tax exemption, TWO staffers went on the Mikva campaign payroll. They even recruited the notorious Blackstone Rangers street gang to put up yard signs warning against bribes offered by the "machine" team. Saul Alinsky was organizing TWO at the time and believed that a Mikva victory, made possible by TWO's political muscle, could have been a springboard to bigger things on the South Side. Alinsky was reportedly furious when Mikva narrowly lost the primary. In January 1969, the Chicago radical newspaper, Hyde Park- Kenwood Voices, listed those who had helped produce its first 16 monthly issues as "writers, researchers, photographers, artists and clerical workers". The list included Abner Mikva, who wrote a regular column for the paper. The "Voices" was a mouthpiece for Students for a Democratic Society, Cuba sugar cane cutters, anti Vietnam War activists and radicals of every stripe. Proprietors were David S. Canter and Don Rose. Canter was a Communist Party member and importer and distributor of Soviet literature. As such , e was once required to register as an official agent of the Soviet Union. Rose was equally as radical, but never a proven Party member. He was however a leader of the communist front Chicago Committee to defend the Bill of Rights. After the "Voices" folded in the mid 1970s, Rose and Canter went on to mentor a promising young journalist named David Axelrod - the man who put Barack Obama in the White hose and now serves as the President's chief adviser. Speakers at the conference included Richard Criley and Norman Roth of the Communist Party and the Chicago Committee to Defend the Bill of Rights, Fr. Gerard Grant and Frank Rosen (also "Committee" members) , Ed Sadlowski of the United Steel Workers Union and later Democratic Socialists of America and of course Congressman Abner Mikva. Mikva had been elected to Congress in 1968. In Washington, Mikva became involved with the far left Institute for Policy Studies. At the the time, the IPS was a magnet for "liberal" Democrats (and even a few Republicans), Marxists, third world radicals, Eastern Bloc diplomats and at least few known KGB agents and contacts. It was (and remains) a center of subversion in the heart of the nation's capital. In 1983, IPS celebrated its 20th anniversary with a giant "bash" at the National Building Museum, attended by approximately 1,000 staffers, politicians and supporters. Abner Mikva, of course attended, while his wife Zoe handled arrangements for the function. IPS held regular seminars and schools, attracting people from all over the US and abroad. Could it have been through IPS that Mikva first met Barack Obama in Washington? Certainly Obama was in the IPS "orbit". In 1999 IPS affiliate Charles Halpern recruited Obama from Chicago to help establish and serve as Trustee of the New York based "non-profit" Demos, an official IPS partner organization. Coincidentally Obama's former "Green Jobs Czar" Van Jones was also a Demos Trustee. After his Congressional career, Mikva served as a judge in Washington DC (where he employed Elena Kagan) and later as White House counsel under Bill Clinton. After leaving the White House Mikva returned to his Chicago roots. Not people to abandon old friends , Abner and Zoe Mikva sent a message ""Hooray for Progressives" to the Chicago Democratic Socialists of America 44th Annual Eugene V. Debs - Norman Thomas - Michael Harrington Dinner, held on May 10, 2002. On Sunday October 29, 2006, the Chicago Committee to Defend the Bill of Rights held a "Celebration of the The Dynamic Life of Frank Wilkinson (1914-2006)." Frank Wilkinson, a founder of the "Committee' had been a 40 year veteran of the Communist Party , before going on to join the almost as radical Democratic Socialists of America. Abner Mikva served on the honoring committee with past or current Communist Party supporters Donna Wilkinson, Joan Elbert, Ruth Emerson, Yolanda Hall, Peggy Lipschutz, Bea Lumpkin, Frank Lumpkin, Harold Rogers, Mark Rogovin, Norman Roth, Emile Schepers, Studs Terkel and Tim Yeager. Democratic Socialists of America members on the committee included Congressman Danny K. Davis, Timuel Black and Dr. Quentin Young - all coincidentally close friends and supporters of Barack Obama. The left side of Chicago politics is so much part of the mainstream, it is almost "respectable". Democrats, communists and socialists work together, join each others front groups and even each others political parties. Barack Obama, Abner Mikva are both steeped this culture. Elena Kagan is at least peripherally connected to it. young lawyers tend to clerk for those who share their outlook. Chicago socialism has been a powerful force in Illinois politics since the election of far left mayor Harold Washington in 1983. Now it has spread to Capitol Hill and the White House and threatens to infect the entire country. The prosecution dropped charges of treason and espionage to avoid complications with a death sentence. Brilliant work Trevor. You amaze me. You never let us down - can't thank you enough. God bless and take care of you and your family. YOu know I'm looking at his picture and see a smile then I look at his eyes...and draw back. I find that with all of them. Great smilers but it's the cold eyes. Notice this new one on the scene, Elena, again with the smiles, but she's medusa. I have an unease that we won't make it until November. I've had it off and on since last October. ELVISNIXON.com has a post based loosely on your analysis.